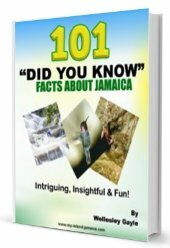 Ocho Rios Jamaica is calling you! The Freedom Palace Family also welcome you to come join us for a day, week or month of fun as you enjoy the comfort of the rooms for the budget minded. This home away from home will provide you and your family and friends all of the comforts of home while in Ocho Rios. 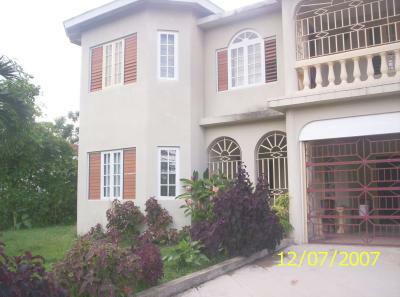 Freedom Palace is a beautiful and fully secured two (2) story duplex. It has 2 bedrooms 2 bathrooms, living room and dining room plus kitchen. This fine facility also has hot and cold water. It will meet yours, your family and friends lodging needs with elegance to spare. I went to the Villa and I had a good time they took me all over Jamaica place. the villa is clean and close to every thing I done a lot of walking don't make the pic fool you it a beautiful place to go you will have a good time and the price is very cheap. Last year I was there and man do I have a good time the manager took us on a tour places I never here of like the fire water we cook on the water, some caves beaches and lot more we get to go and do thing that if we were at an hotel we would never see those places on my last day they have a bbq for us if you want a place to go and feel and enjoyed your self go to freedompalace it just like the name. Freedom Palace is awesome! My wife and i visited last year and we are booked to return this year. We like the warm and friendly service, the location, and the ambience of the villa. We especially enjoyed our tours to the country areas, the security,and the fact that we were picked up and dropped off at the airport...kool! I stay at this villa freedompalace this place is a quite and warm place for a quite holiday the manager is so cool they take me all around some places that i sin jamaica and i learn a lot see for your self.